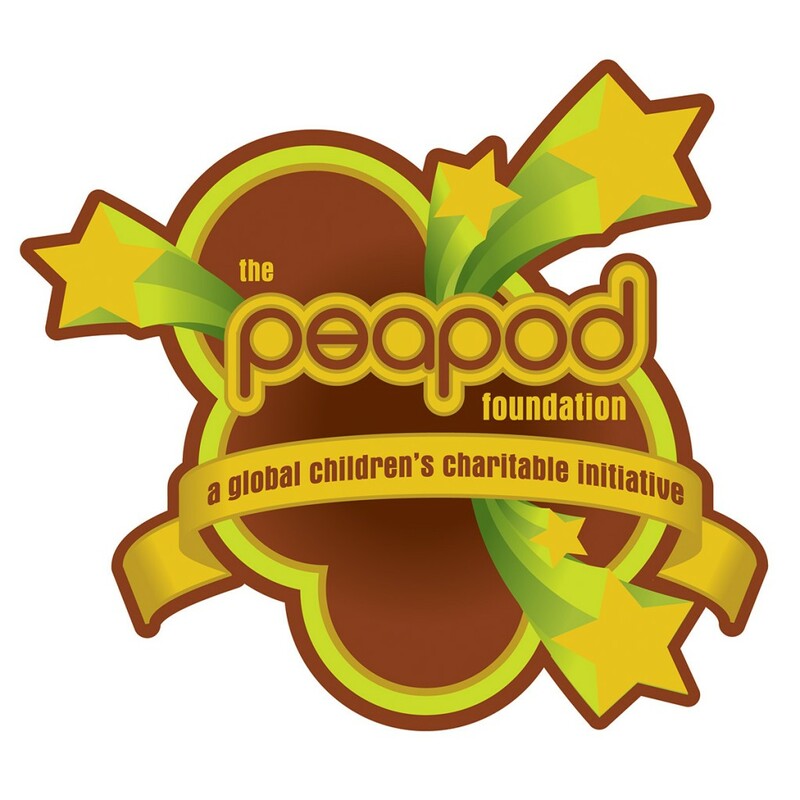 The Peapod Foundation on behalf of the Black Eyed Peas. The organization was created to be a global leader in encouraging social change by uniting people through the universal language of music. The foundation provided support for social issues affecting children worldwide, including: Shelter/Housing, Healthcare, Education, Poverty, and Music/Artistic Education. 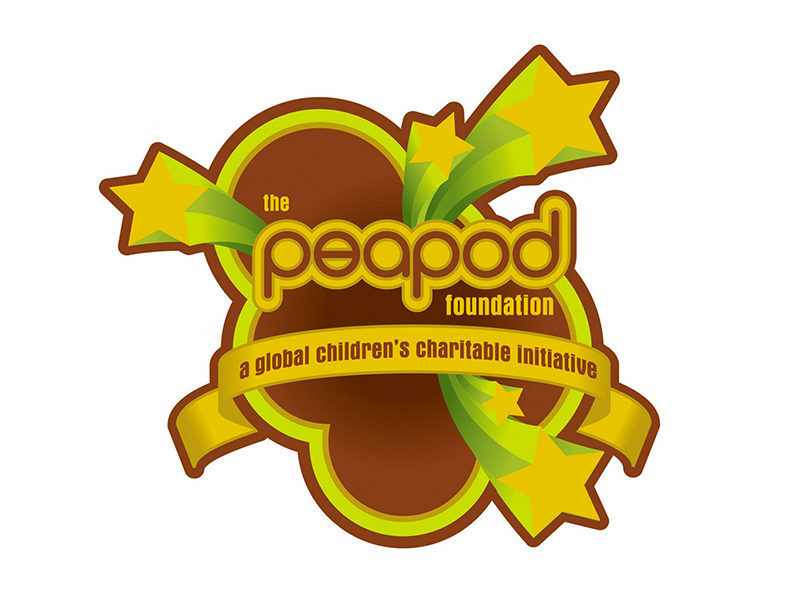 The Peapod Foundation was established as a donor-advised fund of the Entertainment Industry Foundation (EIF), the philanthropic leader of the entertainment industry and was architected and run in association with Thirty-Three Productions, Inc.
Miller Genuine Draft presented The Peapod Benefit Concert featuring The Black Eyed Peas and friends. 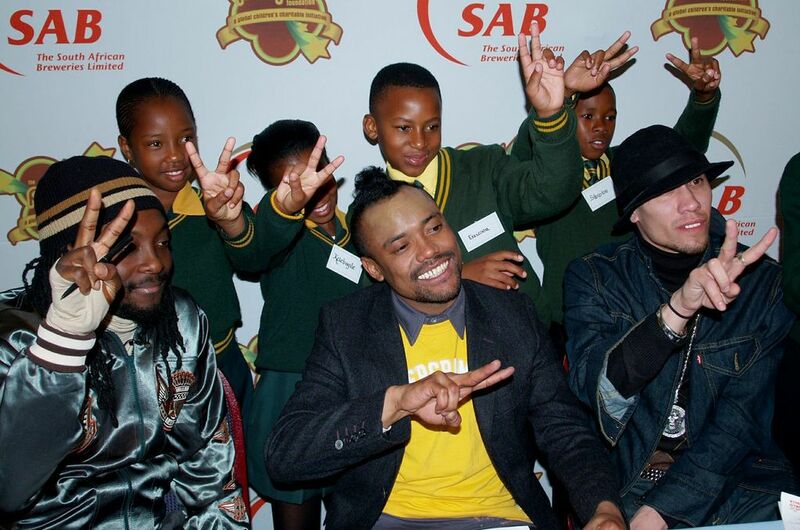 The concert was the first major philanthropic endeavor for The Peapod Foundation, founded by The Black Eyed Peas in association with the Entertainment Industry Foundation. The event helped to raise awareness for The Peapod Foundation’s philanthropic work in the region. The Peapod took place Sunday, May 28th, 2006 at Johannesburg Stadium at Ellis Park in South Africa. The benefit concert was produced by Tony Feldman and Showtime Management and executive produced by Christine Hansen and Thirty-Three Productions, Inc. 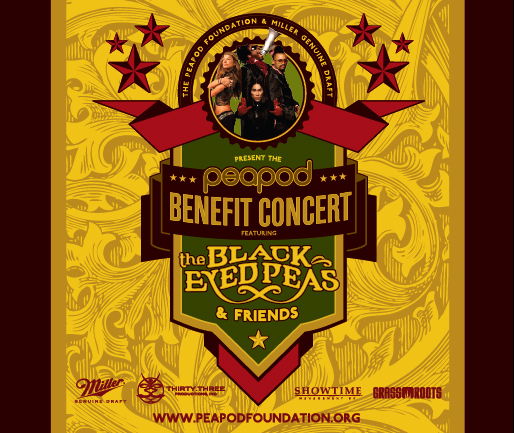 The Peapod Foundation Benefit was headlined by two-time Grammy winning multi-platinum artists, The Black Eyed Peas. 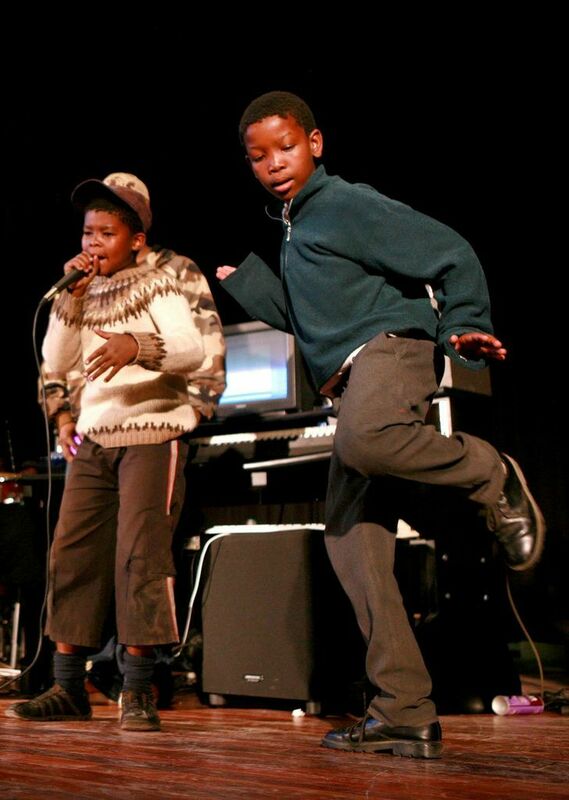 Inspired by their first trip to South Africa in 2004, this gift from The Peapod Foundation made possible by the support of Miller Genuine Draft, brought The Peas together to perform alongside acclaimed South African artists and dancers to deliver an entertainment experience of historical proportion. Nine-time Grammy Award winning pop music icon Justin Timberlake joined The Black Eyed Peas, Sergio Mendes, John Legend, Erykah Badu, India.arie, Q-Tip, Pharoahe Monch, Sleepy Brown and a host of other special guests at The Peadpod Foundation Benefit Concert on Monday, February 6, 2006 at the Henry Fonda Theater in Hollywood. Justin Timberlake performed at the concert, which benefitted the children’s charities of The Peapod Foundation, a program of the Entertainment Industry Foundation (EIF). Other celebrity guests in attendance included: Maroon 5, Minnie Driver, Jenna Elfman, Taye Diggs, Diane Kruger, Chris “Ludacris” Bridges, John Leguizamo, Jacinda Barrett, Reggie, Bush, Gary Dourdan, Persia White, Elan, The Reyes Brothers and many more. The annual event brings together music legends of the past, present and future to raise awareness and funds for children’s charities. The event was produced by will.i.am Music Group and Thirty-Three Productions, Inc.
About The Peapod Foundation: The Black Eyed Peas’ Peapod Foundation is a children’s charity that intended to bring aid to children who suffer worldwide and was a donor-advised fund administered through the Entertainment Industry Foundation (EIF) – Hollywood’s leading charitable organization.